Zaro Large of Plainwell passed away Friday, April 30, 2010 in Kalamazoo. Zaro was born June 21, 1952 in Kalamazoo, the son of Charles and Shirley (Snow) Large. For many years he was employed as a lab technician with several ink manufacturing companies. In his leisure time Zaro enjoyed golf and cars. Surviving are his children, Marray Donaldson of Tennessee, Jeb (Sarah) Large of Plainwell; his mother, Shirley Large of Plainwell; a brother and a sister, Zale Large of Plainwell and Zena (Jim) Anderson of Otsego; 2 grandchildren; several nieces and nephews. He was preceded in death by his father. In keeping with his wishes, cremation has taken place. A Memorial Service will be held at Friendship Wesleyan Church at 11:00 A.M on Friday, May 7, 2010 Pastor Kevin Smith officiating. Contributions in memory of Zaro may be made to the Friendship Wesleyan Church. The family is being served by the Winkel Funeral Home, Otsego, MI. 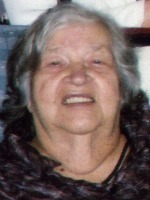 Virginia L. Zwart of Otsego, Michigan, passed away Friday, April 30, 2010 in Kalamazoo. Mrs. Zwart was born November 12, 1928 in Connersville, IN to Russell and Mayfrey ( (Hobbs) Samuels. For many years she was employed as a bus driver with the Otsego Public Schools. In her leisure time Virginia was an avid crocheter and all of her family members have blankets she had made for them. She also enjoyed bowling, golfing, playing Bingo and Bunco and watching Texas Hold ‘Em and Game Shows. On May 16, 1947 she was married to Peter Zwart who died December 15, 1993. Also preceding her in death was her sister, Ramona. Surviving are a daughter and two sons, Joyce (James) Harnish of Otsego, William (Varyl) Zwart of Schoolcraft and Peter (Dena) Zwart of Otsego; 10 grandchildren; 3 step-grandchildren; 5 great-grandchildren; 8 step-great-grandchildren; a sister, Leora DeBack of Jackson, MI; many nieces and nephews. The family will receive friends from 6 to 8 P.M. Monday and 12 Noon to 1 P.M. Tuesday at the Winkel Funeral Home, Otsego, where services will be held at 1:00 P.M. Tuesday, Pastor Joe Shaler officiating. Cremation will follow. 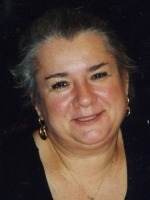 Barbara J. Magiera of Richland, Michigan, passed away Wednesday, April 28, 2010 at her home. Barbara was born June 7, 1950 in Jarkowice, Poland to Adam and Zofia (Slotwinski) Maruniak. In the mid 1970s she earned her Masters Degree in Chemical Engineering from Western Michigan University. In 1984 she and her husband opened their own business, Hytech Spring & Machine, in Plainwell, which they still own and operate. With the heart of a giant, Barbara loved animals, was an avid reader, enjoyed traveling, entertaining, and cooking. Above all, she loved her family. On July 16, 1983 in Allegan County, Michigan, she married Andrew Magiera of Krakow, Poland, who survives. Also surviving are her mother, Zofia Maruniak-Slotwinski of Otsego; her sister, Teresa Ramos of Bartlett, Illinois; her father-in-law, Stanislaw Magiera of Poland; nephews, Alex and Brian; extended family in the United States and Poland; and many friends. Preceding her in death were her father, Adam Maruniak, and her sister, Lidia, both in 1992. The family will receive friends from 2 to 4 and 6 to 8 P.M. Sunday at the Winkel Funeral Home, Otsego, where a prayer service will be conducted at 7:00 P.M. A Funeral Mass of Christian Burial will be celebrated at 11:00 A.M. Monday at St. Ambrose Catholic Church, Parchment, Rev. Fr. James S. O’Leary celebrant. Cremation will follow with burial of ashes at St. Margaret’s Cemetery, Otsego. Contributions in memory of Barbara may be made to the S.P.C.A. of Southwest Michigan or the Michigan State University College of Veterinary Medicine. Sarah A. (Darvarn) Marcy, of Otsego (formerly of Dearborn) known by family and friends as Sally, died peacefully on April 24th in Kalamazoo, MI. She was born in St. John’s, MI on September 16, 1931. Together with her sister, Shirley (John) Fox, and sister Susan (Robert) Vedder, Sally was raised in Pewamo, MI, and later in Fowler, MI. On June 20, 1953, Sally was united in marriage to Lynn P. Marcy, who survives. Their union was blessed with three children. Daughter Amy Rogers (Stephen) of Leesburg, VA; Son Kevin Marcy (Susan) of Plainwell, MI; and daughter Julie Marcy of Dearborn. Sally and Lynn have six grandchildren: Mike (Leslie) Rogers; Emily (Tim) Oxford; Christopher Rogers; Brian Marcy; Kaitlyn Marcy; and Grace Marcy. Sally was preceded in death by her father, Roger Davarn, her mother, Anne Davarn, and her godson, Patrick Fox. The family will receive visitors Wednesday from 2-4 PM and 6-8 PM at Winkel Funeral Home, Otsego, MI, with a rosary at 7:30 PM. Mass of Christian Burial will be at St. Margaret Church, Otsego, MI on Thursday at 11:00 A.M. Interment will be at Ft. Custer National Cemetery. In Lieu of flowers, memorial contributions may be made to Make-A-Wish of Michigan, Camp Quality of Michigan or St Margaret’s School. William J. Zugel of Otsego, Michigan passed away Friday, April 23, 2010, in Kalamazoo. Mr. Zugel was born September 26, 1923 in Otsego to Anthony and Veronica (Durszia) Zugel and was a lifelong resident of the area. For 31 years he was employed with Hammond Machine and retired from St. Margaret’s School as a bus driver. Bill enjoyed coaching little league baseball, bowling, golfing and taking care of his lawn. He was a member of St. Margaret’s Catholic Church and was a 4th Degree Knight with the Knights of Columbus. On January 22, 1949 in Otsego he married the former Maxine Gren, who died in 1997. Also preceding him in death were 4 brothers, Frank, Ted, Tony and Leo and a sister, Eva. Surviving are two sons, Philip (Rayma) Zugel of Port St. Lucie, FL and David (Julia) Zugel of Plainwell; 6 grandchildren, Kelly, Kimberly, Derek, Adam, Calvin and Heidi; 6 great-grandchildren, Tyler, Conner, Destiney, Betty, Laura and C.J. ; 2 sisters, Marie Hoffsas of Venice, FL and Irene Fuss of Indiana; many nieces and nephews. Friends may meet with his family from 2 to 4 and 6 to 8 P.M. Monday at the Winkel Funeral Home, Otsego, where a Scripture Service will be held at 7:00 P.M. Mass of Christian Burial will be held at St. Margaret’s Catholic Church 11:00 A.M. Tuesday, Rev. Fr. Donald P. Klingler officiating. Cremation will follow with burial of ashes at St. Margaret’s Cemetery. Contributions in memory of Bill may be made to the Knights of Columbus. 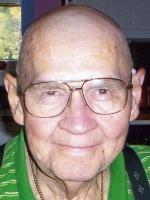 Donald L. Rhodes, Otsego, Michigan, passed away Friday, April 23, 2010 in Kalamazoo. Donald was born May 27, 1934 in Jefferson Township, Mercer Co., OH, the son of Edgar and Sylvia (Stelts) Rhodes. He had been employed over 25 years with Otsego Television, retiring in 1980. He enjoyed Tinkering with clocks, carpentry, photography, painting and being with his grandchildren. Surviving are his companion of nine years, LaDonna Simons; a son Donald Lee Rhodes of Texas; 3 stepchildren, Stephen Trimm of Gainesville, FL; Debra (Bill) Harrison of Pine Lake; Robin (Jeff) Gipson of Gobles; 4 grandchildren, C.J., Cyle, Mike and Ben; 4 great grandchildren, Alisha, Kendra, Cadence and Cillian; a brother, James (Ruth) Rhodes and a sister, Frances Kay (Dean) Shaffer, all of Celina, OH. He was preceded in death by his wife Donna in 1998, an infant daughter, Debra Lynn in 1955 and a sister, Dorothy Coats. In accordance with his wishes, Donald has been cremated. A memorial service will be on Saturday, May 1, 2010 at 2:00 P.M. at the V.F.W. Hall, 124 N. Farmer St., Otsego, Michigan. Those desiring may make memorial contributions to Borgess Visiting Nurse and Hospice. 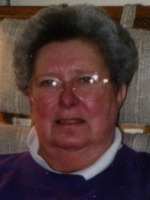 Virginia M. Faucher of Allegan, Michigan, passed away Monday, April 19, 2010 in Plainwell. She was born March 30, 1920 in Allegan, the daughter of James and Julia (Thorpe) Boylan. Virginia enjoyed fishing, crocheting, playing cards and Yahtzee. Surviving are her daughter Charlene (fiancée Tom Hawkes) Valkner of Allegan; 4 grandchildren; 7 great grandchildren; 1 great great grandson; 2 sisters Eileen Davis of Allegan and Irene Dendel of Otsego, a brother Albert (Charlotte) Boylan of Otsego. Virginia was preceded in death by her husbands, Art Bernier and Joseph Faucher, 3 brothers, George Sr, James and Irwin Boylan, a sister Tressa Vote and a son Richard Bernier. Friends may meet with her family at the Winkel Funeral Home, Otsego on Wednesday from 10am until the time of service at 11:00 A.M., Pastor Stephen J. Burrow officiating. Interment will be at Mountain Home Cemetery, Otsego. Memorial contributions may be made to Wings of Hope Hospice. David L. Woodward of Kalamazoo, MI passed away Friday, April 16, 2010 at his home. David was born May 25, 1954 in Kalamazoo, the son of George and Imogene (Cowley) Woodward. He was employed as a stocker in the meat dept. at Harding’s Market in Oshtemo. David is survived by his sister, Gail Watson; 2 brothers, Tom and Gary Woodward; 3 children, David Woodward, Chris Woodward and Serena Woodward; 7 grandchildren; 1 great-grandchild; and a very special friend, Cindy Thompson. He was preceded in death by his parents. In accordance with his wishes, David has been cremated. A memorial service will be held Saturday at 11:00 A.M. at the Otsego First Congregational Church, Pastor Don Ray officiating. Those desiring may make memorial contributions to the family for expenses. 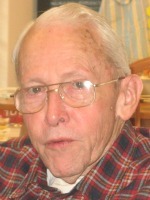 Stephen L. Sears of Otsego, Michigan, passed away Tuesday, April 13, 2010 in Kalamazoo. Mr. Sears was born November 5, 1924 in Rockford, MI, to Charles and Helen (Jones) Sears. During WWII he served his country as a member of the U.S. Army, stationed in the Pacific. Steve obtained his Bachelor Degree from the University of Michigan and his Masters from WesternMichiganUniversity and taught math for 29 years at OtsegoHigh School. He was an avid bridge player and participated in many duplicate bridge tournaments. He also enjoyed singing and had been a choir member at the OtsegoUnitedMethodistChurch. On August 18, 1962 in Hartford he was married to the former Dorothy Correll, who preceded him in death in 2003. Surviving are three sons, Charlie (Barbara) Sears of Rockford, Jim (Lynn) Sears of Garrett Park, Maryland and Dan (Jill) Wylie-Sears of Boston, MA; four grandchildren, Rose and Grace Sears and Stephen and Charlie Wylie-Sears. Also preceding him in death was his brother, Clif Sears. Friends may meet the family from 5 to 8 P.M. Friday at the Winkel Funeral Home, Otsego, where services will be held at 11:00 A.M. Saturday, Pastor Joe Shaler and Pastor Jeff Williams officiating. Burial will follow at MountainHomeCemetery, Otsego. Contributions in memory of Steve may be made to the United Methodist Church of Otsego, the White Pines United Methodist Church of Rockford or the Alamo Nursing Home. Ann B. 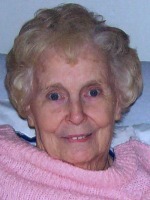 ‘Peggy’ Rex of Allegan, Michgian, (formerly of Otsego) went to be with her Lord on Sunday, April 11, 2010. Mrs. Rex was born March 3, 1930 in Otsego to Walter and Florence (Julian) Reed and had been a lifelong resident of the area. 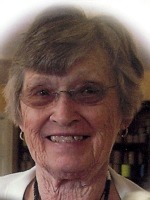 Peggy was a member of the United Methodist Church of Otsego. In her leisure time she enjoyed gardening, reading, canning, collecting cookbooks, shelling walnuts and watching hummingbirds. She especially enjoyed spending time with her family and grandchildren. On July 26, 1947 in Bryon, Ohio she was married to Harry Rex, who survives. Also surviving are four children, Diane (John) Glessner, Mike (Margaret) Rex, Denise (Dave) Volker and Mark (Helen) Rex; 12 grandchildren, Bryan (Michele) Glessner, Brad (Tonya) Glessner, Gina (Jason) Watson, Gabriel (Alicia) Rex, Tricia (Brian) Shaff, Andrea Bailey, Nathan Volker, Natalie Volker, Courtnie Shealy, Jeremiah (Heather) Johnson, Angela Rex and Alex Rex; 20 great-grandchildren; sisters and brothers, Glenda Staley, Wilma Cushman, Donna Westfield, Walt (Vivian) Reed and Linda Clock; many nieces and nephews. Preceding her in death were her parents and a great-granddaughter, Taylor Nicole Glessner. Friends may meet with the family from 2 to 4 and 6 to 8 P.M. Thursday at the Winkel Funeral Home, Otsego. Funeral services will be held at the United Methodist Church of Otsego, Friday at 11:00 A.M., Pastor Joe Shaler officiating. Burial will follow at Mountain Home Cemetery, Otsego. Contributions in memory of Peggy may be made to the United Methodist Church of Otsego or Wings of Hope Hospice.